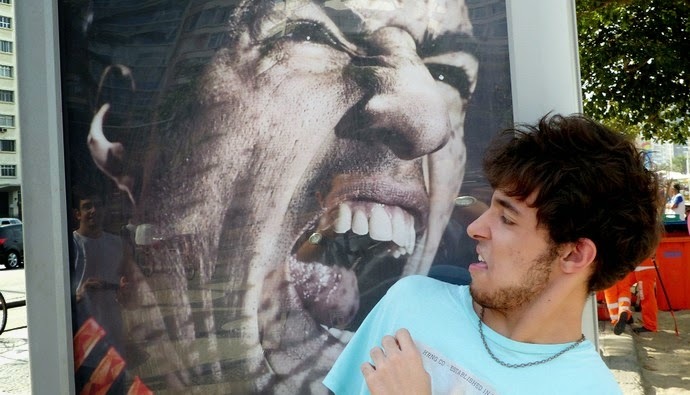 Everyone wants to be Chiellini and feel the power of Suarez bite. 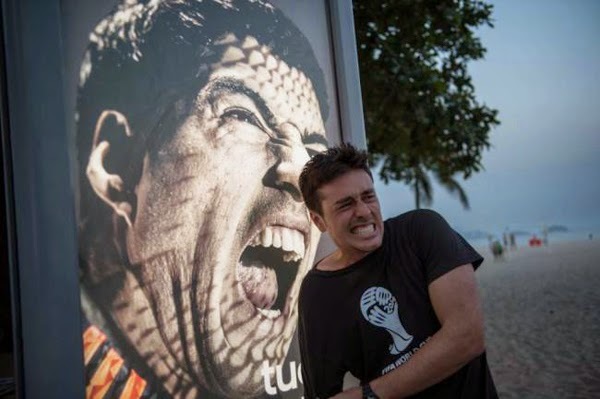 Brazilians and tourists are flocking to Copacabana beach in Rio de Janeiro south side, to take a picture with a poster of Suarez that has been placed near the white sandy beaches. This craze started days after the incident between Suarez and Chiellini, during the match between Uruguay and Italy. 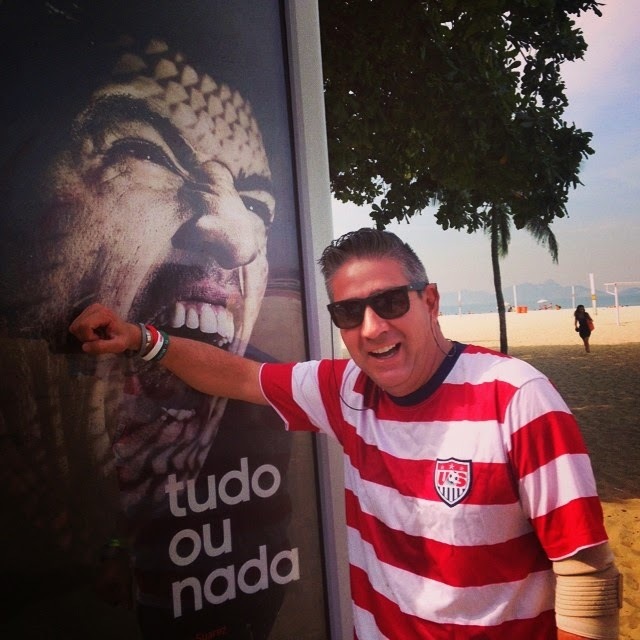 Now it has become one of the biggest tourist attractions in Rio.